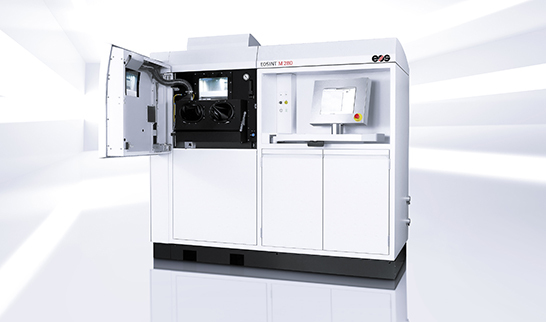 Leading-edge laser sintering system for the manufacture of metal products directly from CAD data. 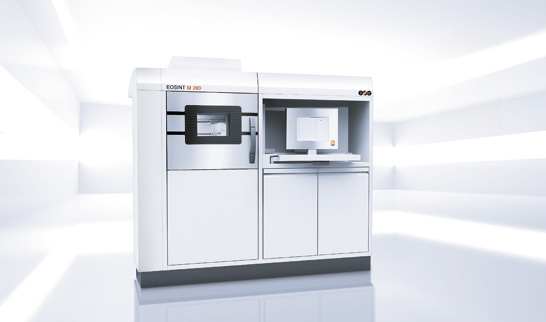 As a leading-edge system for Additive Manufacturing, EOSINT M 280 is the perfect solution for direct, cost-efficient manufacturing of high-quality metal tool inserts, prototypes and end products. Its high level of productivity and ergonomic periphery make the system ideal for the economical and batch-size optimised additive manufacturing of components throughout all phases of the product lifecycle. 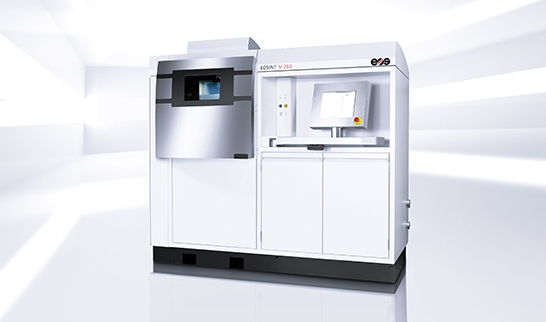 EOSINT M 280 is based on the innovative DMLS (Direct Metal Laser Sintering) system by EOS. It produces components by means of selective laser sintering – fully automatically, without tools and based directly on three-dimensional CAD design data. For this purpose it is equipped with a 200 W or 400 W fibre laser which melts fine metal powder and builds up the product layer by layer. Constant monitoring of the process ensures that all components are produced in excellent, reproducible quality. This method allows you to create products with extremely complex geometries including elements such as free-form surfaces, deep slots and coolant ducts.